How do you invent an entire brand experience and take it to a crowded market? Invent the entire brand experience and take it to market. Our go-to-market strategy immediately ignited customers and galvanized the restaurant as a brand built to please. 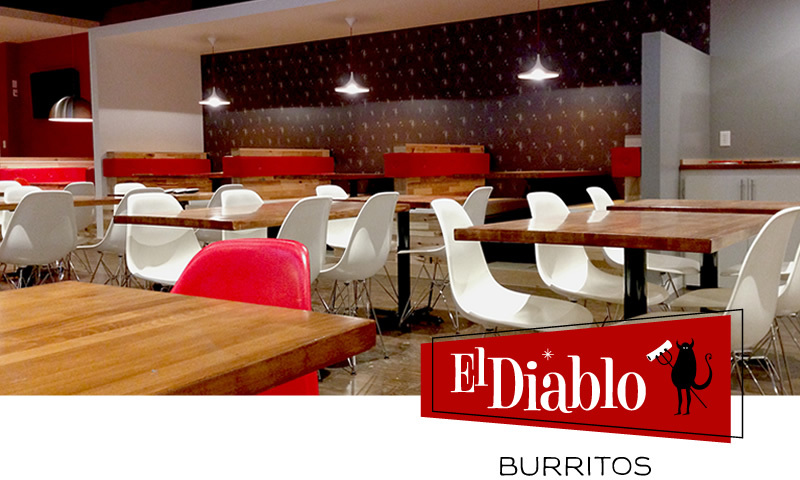 El Diablo cooks up a tasty California-style burrito. So we concocted a spicy brand ID to match. From the logo and signage to wallpaper and collateral, we created a playful, impactful and engaging brand that perfectly reflects the attitude of the local eatery. Our creative efforts help make sure customers are satisfied from the inside out. Connect with us today to find out how we create the perfect brand from scratch.